Spotlight on Yoobi. One for you. One for me. What is Yoobi all about? Yoobi, pronounced “you-be,” means “one for you, one for me.” For every Yoobi item purchased, a Yoobi item will be donated to a classroom in need, right here in the U.S. It’s that simple! Yoobi was born to make colorful, vibrant tools that spark learning and creativity. Not only do they want to perk up the school supplies aisle, but they wanted to help solve a very big problem. The facts: Many kids in the U.S. don’t have access to basic school supplies, unless teachers pay for them out of their own pocket. Yoobi doesn’t thnk that’s right and we bet you don’t either! Their mission: Yoobi believes that it should be a right, not a privilege, for every child in the U.S. to have creative and colorful tools for learning. Let’s help Yoobi and make it happen! Their goal is to donate Yoobi Classroom Packs to hundreds of thousands of classrooms in need right here in the U.S. Spotlight on Roma Boots. For You. For All. Their tagline ‘For You. For All.’ is just that. For every pair of Roma Boots sold, a new pair is donated to a child in need. It begins with their name, Roma meaning amor and amore meaning love! Roma Boots is a ‘buy one give one’ fashionable rain boot company headquartered in Dallas, Texas. It was founded in 2010 by Romanian born Samuel Bistrian who wanted to help children in his home country by combining his love of fashion and philanthropy. Samuel Bistrian grew up in the remote village of Benesti in pre-revolutionary Romania, where he experienced first hand the struggles one faces growing up in poverty in a communist ruled country. And though Bistrian and his family immigrated to the United States when he was only eight, his parents taught him and his eleven brothers and sisters to never forget their humble beginnings, to display gratitude for the blessings bestowed upon them and to always give back to those less fortunate. 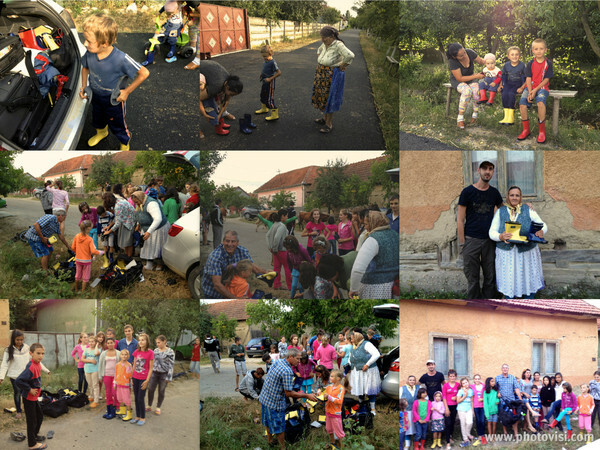 So for the next twenty years, giving back is exactly what Bistrian set out to do. Their mission: to give poverty the ‘boot’ by bringing street children and orphans hope, love and lasting change in the most sustainable and practical way. For every pair of Roma Boots sold, a brand new pair stuffed with educational supplies is donated to a child in need. Roma’s ultimate goal is not only to provide aid, but to educate. Ten percent of all sales proceeds go to the Roma For All Foundation to help these impoverished children break out of their cycle of poverty and despair. By doing so they will empower these children to contribute their gifts & talents to society, eradicate poverty as a condition and a state of mind to make this world a better place. Over the last four years, with the help of Roma boots supporters and fans, they’ve been able to donate thousands of Roma Boots in 20 countries on four continents. We are proud to be partnering with them for this holiday giveaway and look forward to seeing them flourish as they continue to make a huge impact and difference for kids all over the globe. If you would like more information on Roma Boots, please visit their website. 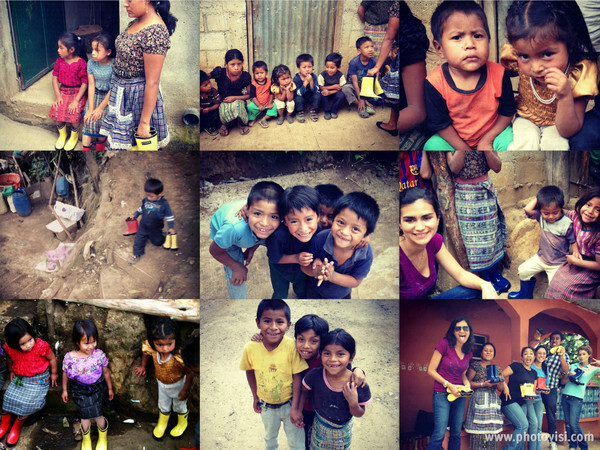 Here are some wonderful pictures of the impact they’ve made in Romania and Guatemala. 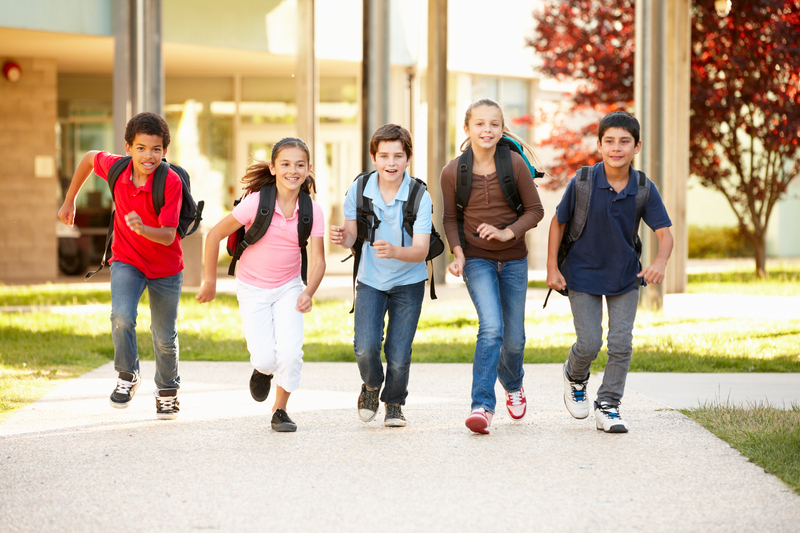 More Ways to Save @ Schoola: Offers, Coupons and Rewards! We know that one of the top reasons our customer community loves Schoola is because our site offers great values for families. Well, our low prices – up to 90% off retail – aren’t the only way to save. Here is a round up of some additional ways we make shopping at Schoola easy, affordable, and fun. We offer 25% off the first time you try us out! Simply sign up and we’ll email you a coupon for 25% off your first order instantly – boom! After you make your first purchase, you’ll get another discount emailed to you to keep you on our Schoola bus. You can earn shopping credits by helping us spread the word! Get $15 for every friend you introduce to Schoola. Its easy, just import your address book and send via email, or share via Facebook & Twitter – easy! We always offer FREE SHIPPING on orders over $50! We have special promotional codes just for our social media followers. So join in on our Facebook, Twitter and Instagram pages for news, offers and fun stuff! Happy shopping, saving & supporting schools!